After Christmas comes Boxing Day, at least for folks here in Canada and the U.K. It’s also time to think about your New Year’s resolution. 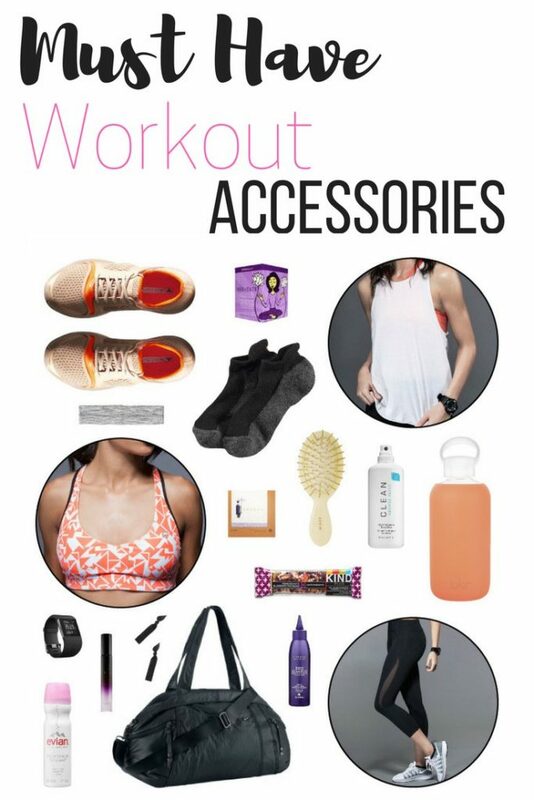 If you are in that state, or will be there soon, you might want to think about your workout accessories must haves. If you’re just beginning in your fitness journey, before you jump onto your workout accessories needs, I suggest you check out the my workout posts I wrote about achieving your fitness goals. While they mainly refer to how I lost my baby weight after pregnancies, they also help those that are not in that phase or past it. So let’s check out what you need in workout accessories come this January to get you ready to hit the gym (or your home workouts) hard! First things fits, organization is key to success! Whether you’re a home exerciser or a gym-goer, a bag is a must to keep your stuff and other workout accessories neatly stored. 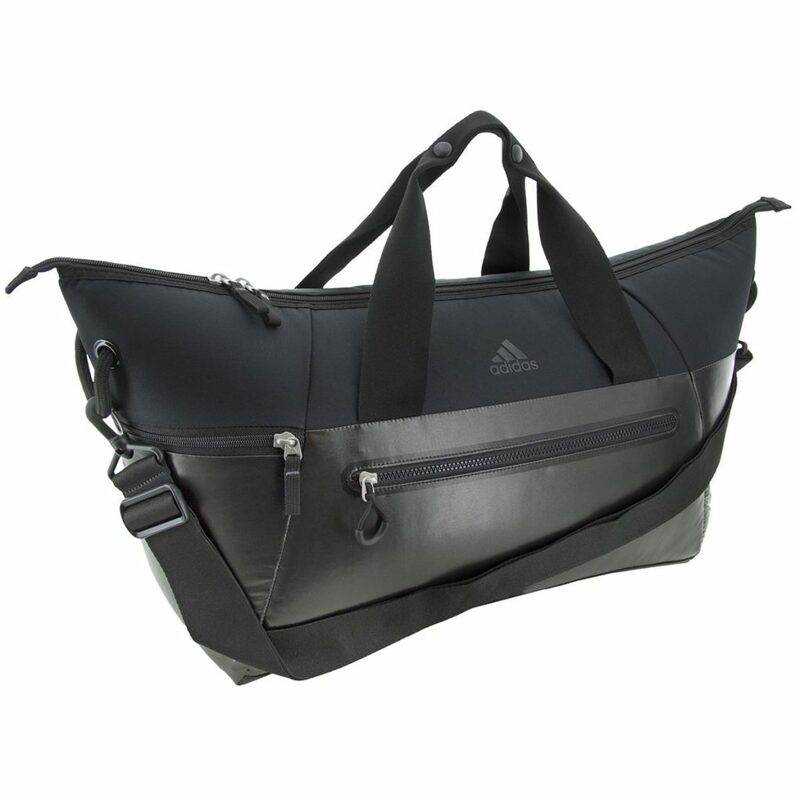 I’m loving this Adidas Studio Duffel Bag . I say runners but really what I mean are training shoes and that’s because there is a difference between shoes you’ll get for running and impact cardio workouts and shoes you’ll need for weight lifting. While you can do both types of exercises in both types of shoes, it is surely not recommended to run (if you want to include that in your workout regimen) with trainers. 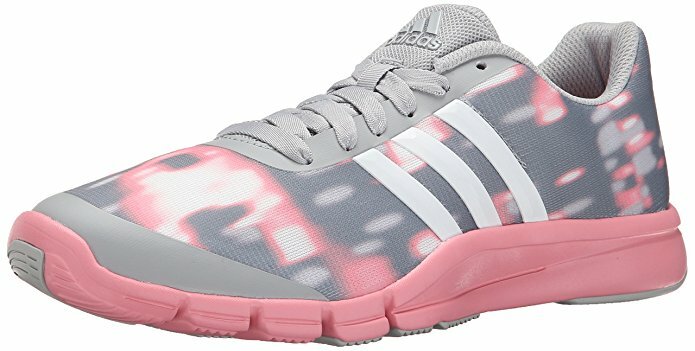 Trainers, like these Adidas Performance Women’s A.T 360.2 Prima Training Shoe are good for less impact exercises like weight lifting, or low impact cardio. 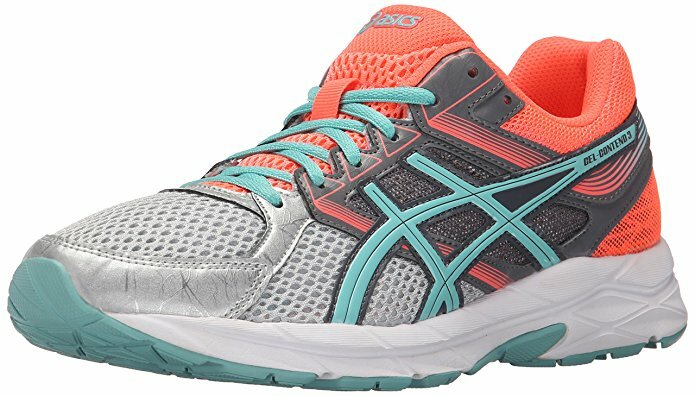 Runners like these ASICS Women’s Gel-Contend 3 Running Shoe are great for running or higher impact cardio that requires more support for your feet. You’ll need something that’s comfortable and sweat absorbing. 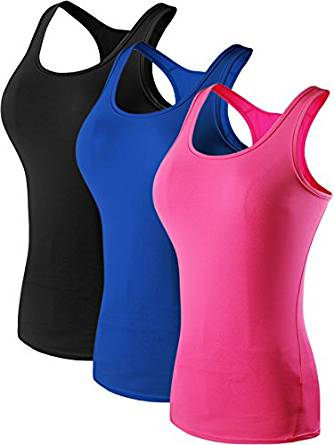 The Neleus Women’s 3 Pack Compression Athletic Tank Top are a good option. If you don’t like to carry your music device on your arm, you can get pants with various pockets that will help you store your belongings. I’ve talked about Etre pants before that do just that or these workout leggings . 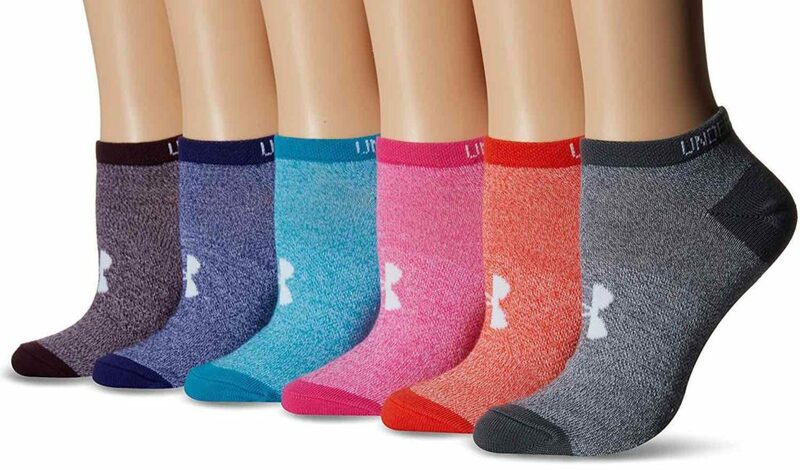 I like to wear ankle socks like these Under Armour Women’s Essential No Show Liner Socks (6 Pairs) or the the compression socks like the ones I’ve blogged about earlier this year. If you’re small busted you can get away with a top built-in bra or a minimal support bra. If you’re on the larger end, you’ll need something with better support. Something like Mirity Women Racerback Sports Bras – High Impact Workout Gym Activewear is great overall. Headbands are great if you have short hair that you can’t tie, bangs or lots of baby hair that sticks out. It keeps everything in check, including the sweat. 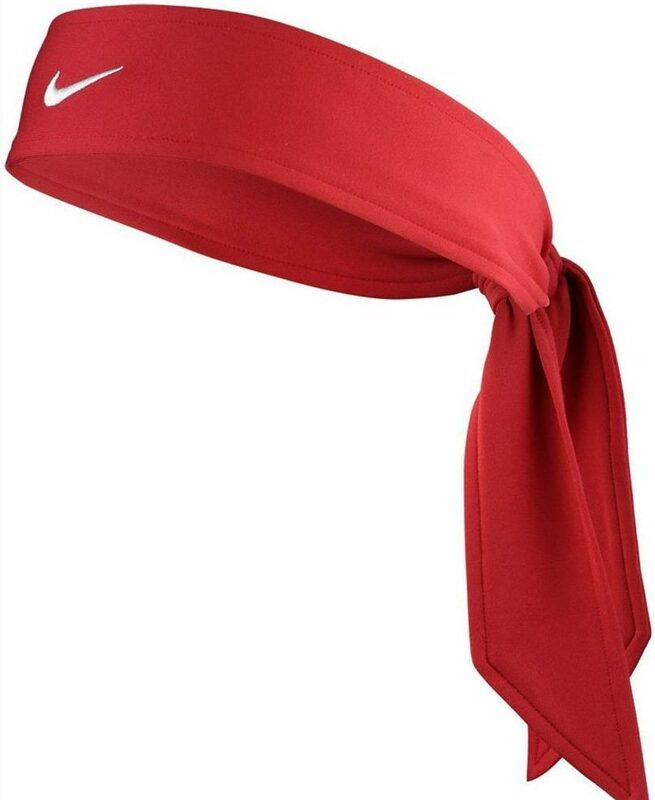 Try this Nike Dri-Fit Head Tie 2.0 . That’s a no brainer. For strength training, you can get away without tying your hair unless you’re doing heavy leg workouts. For cardio though, if you sweat like normal people do, unless you like the feel of your hair sticking to your back, you’ll want to have a few included in your bag. 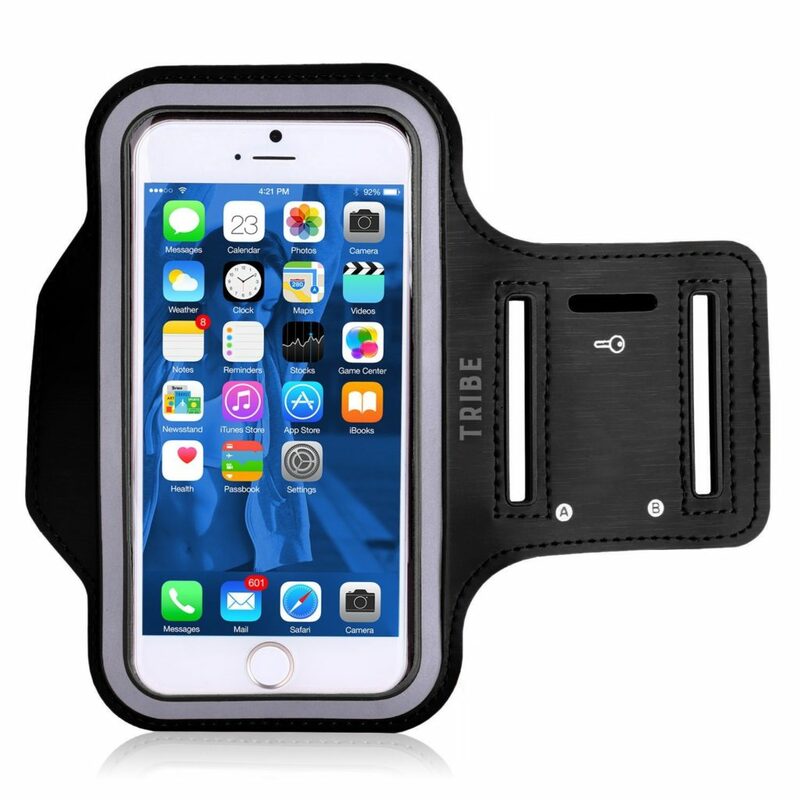 Whether you carry an iPod, and iPhone, a Samsung, or other for your music, you’ll need something to get you going like this water-resistant armband . I’m always talking headphones. That’s a big thing for me at the gym. Earphones need to be sturdy. I’ve test 2 House of Marley headphones, the noise-isolating Nesta earbuds and the Rebel BT on-ear headphones. 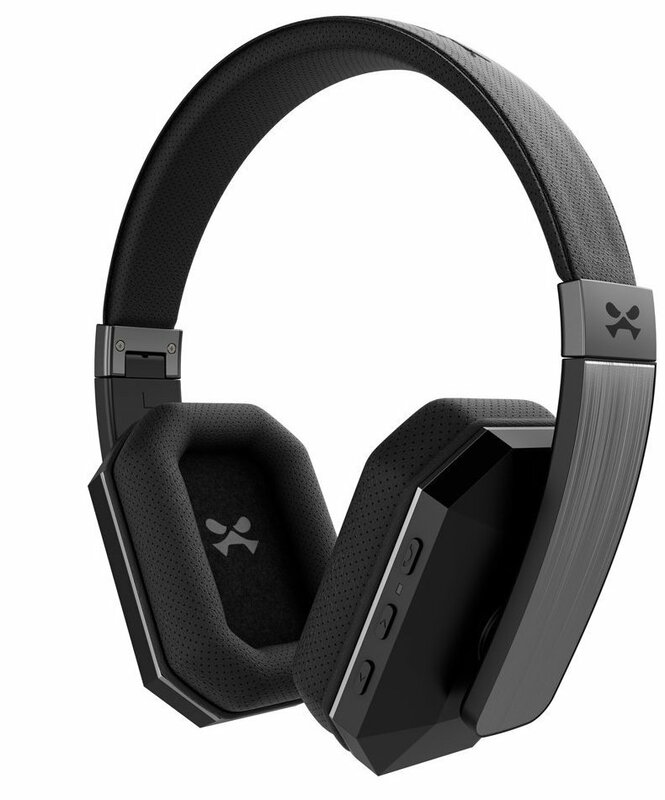 Though I’ve been wanting to experiment with Wireless bluetooth headphones from Ghostek as they are wire-free that I wrote about in this post. You’ll definitely need a stopwatch or a Fitbit if you’re planning to do your workouts at home. 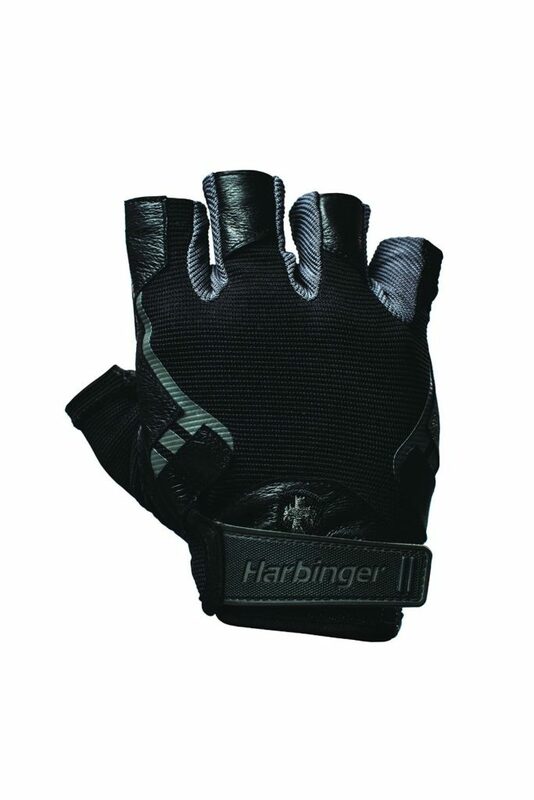 These Harbinger Pro Non-WristWrap Vented Cushioned Leather Palm Weightlifting Gloves are a good kind. Take it from someone that’s tried the high end and low end, and I can tell you that the cheap kind RIPS veeeerrrry quickly. There are different levels of elasticity for the resistance band and the Exercise Resistance Bands offers all of them. I use the red one as it’s the tightest one. I like to do monster walks, or donkey kicks, or even put it on when I am on the step master. It intensifies the workouts. You can get some more ideas for resistance band exercises from this awesome article. 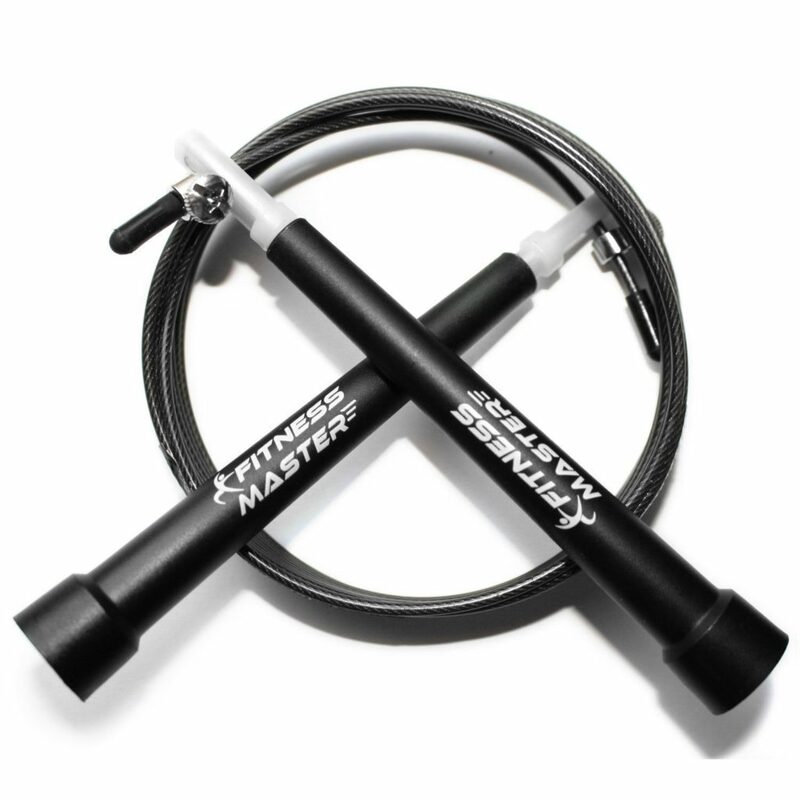 I carry a Jump rope because it’s a way to diversify your cardio workouts and help with HIIT training when you are doing intervals. 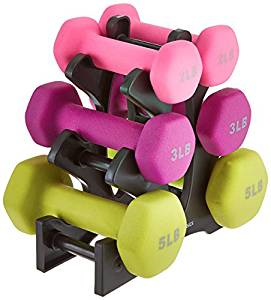 If you’re training at home, you’ll need a few dumbbells like these Amazon Basics 20-Pound Dumbbell Set with Stand in different weights for strength training. 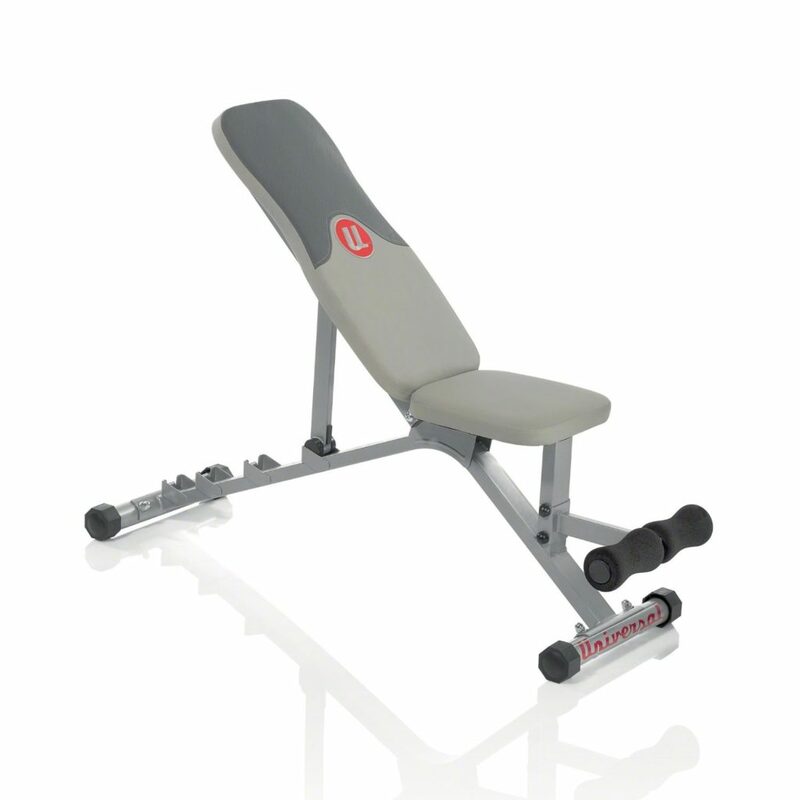 While you may use any regular bench you have at home, having a workout bench is great if you’ll be exercising at home as it gives you the comfort and the dimensions you need to properly perform your workouts. If your gym doesn’t offer towel service, you should have one if you take your showers at the gym. When taking showers at the gym, you don’t want to catch anything undesirable like Athlete’s Foot. 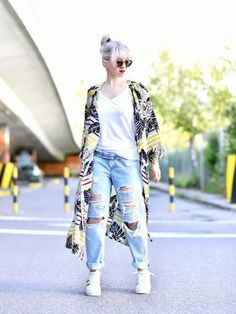 Protect your feet with flip flops . Hydrating is the most important thing to this healthy process. Having a great water bottle that keeps your water cold, with an easy open/close cap, entices you to drink more of nature’s amazing goodness. If you’re looking for protein shakes (as that’s crucial to your nutrition), Kaizen from Bodylogix is the one I use. It claims to be the cleanest protein out there and I believe it. So much so that I give it to my kids and they love the taste. It’s not chalky and totally tasty as a drink or in foods, chocolate or vanilla . It was introduced to me by my fitness model friend Kim whom I’ve talked about on the blog before. 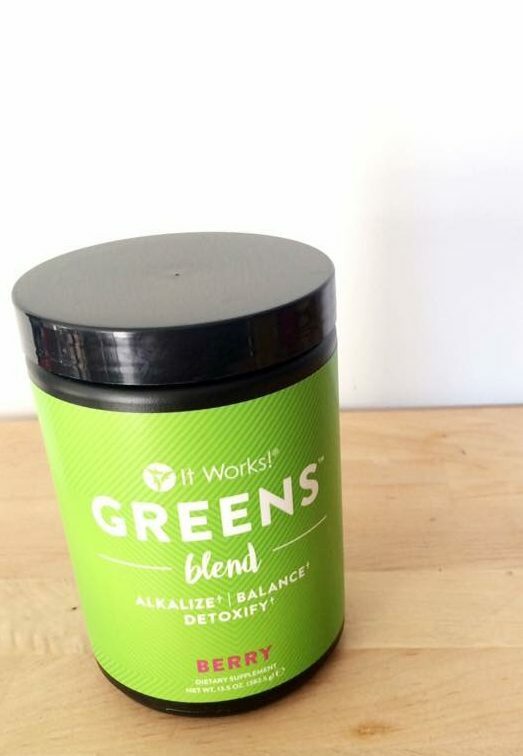 With the natural detoxifying properties of matcha green tea and a complex blend of 34 different varieties of fruits and vegetables, and 52 different herbs and superfoods, the Greens deliver the best nutrients to support your body’s natural detoxification and help your body to naturally cleanse and balance. 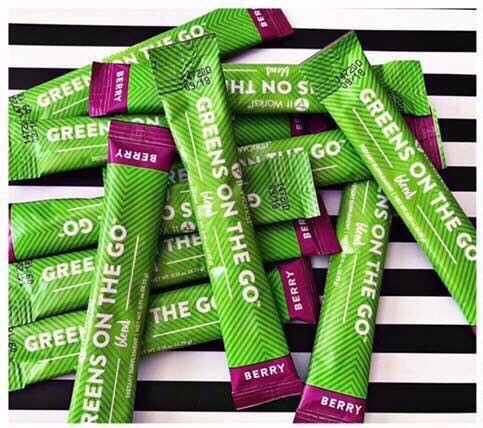 They boost your immune system and provide natural energy. You can mix them in water, juice, smoothies, yogurt and they come in orange or berry and either a jar or to-go packets. They are only about $1 a day!! The food is pretty straightforward. Eat clean. You need this step to achieve your results, otherwise you won’t get anywhere without getting this step in check. To get to know how you can start, you can read this blog post. So to get ready for 2017, you’ll need these workout accessories so you can (literally) start on the right foot. I leave you with one of my fitness outfits from my Instagram feed. Check it out and Instagram and let me know what you of it. 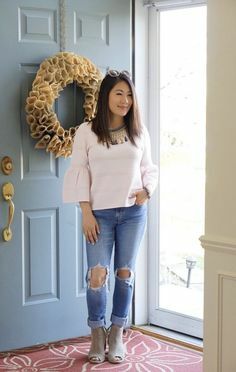 If you’re looking to make some cash while shopping and admiring, check out take advantage of the Ebates specials where you get cashback on your purchases. Use this link to get the goodies back in your pocket. Receive $10 when you refer someone to them. When someone follows you, you get $2. That s a stylish gymbag! And I need some new gloves! Thanks Nancy. I dig it myself and thinking of getting one as mine needs a renewal. I need to check out that protein powder, I’m not sure how clean the one I am using is… Also, those green packets I’m going to check out, too! Thanks! That’s awesome Carrie! 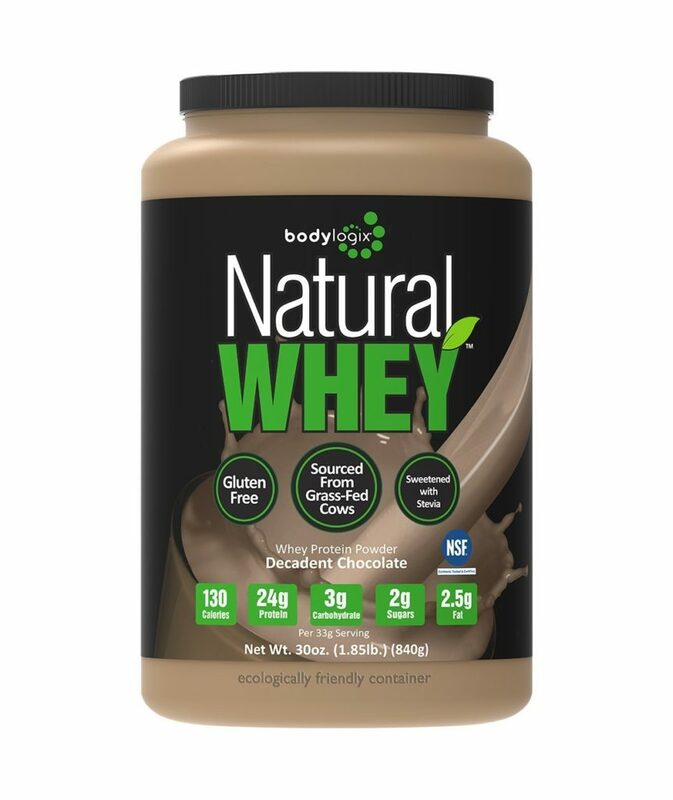 The protein is great and tastes really good. Everyone I know that uses it swears by it and it’s better than any brand you can get. Yes the greens are totally worth it too! Thanks for dropping by Nicole! !